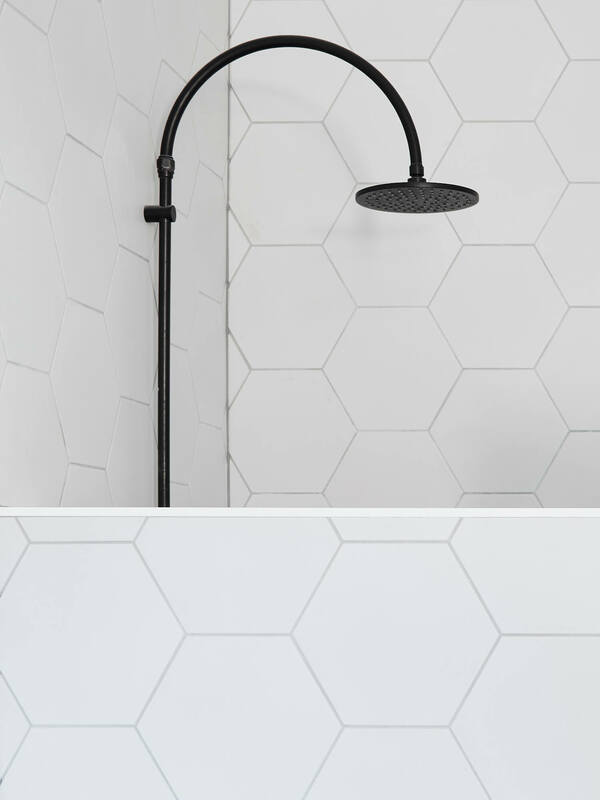 Some things are plain to see and an eye for design is no exception. 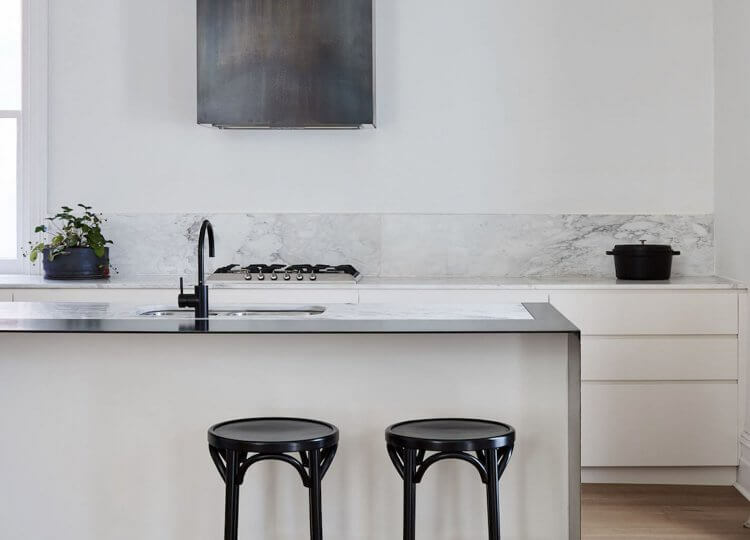 Case in point; the way local practice Studio Wonder marry classism with a modern sensibility into this Victorian-era terrace. 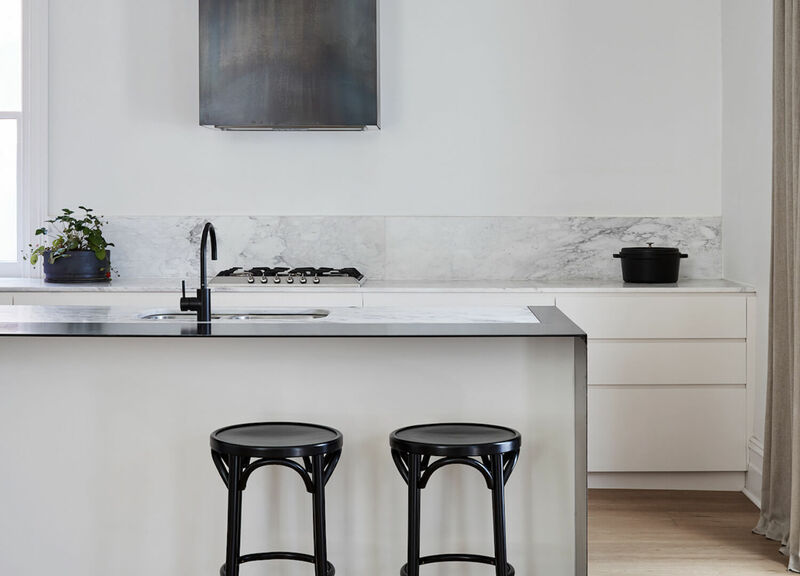 The full-scale family home renovation demonstrates the quality of the studio’s design on a foundation of old-time beauty. 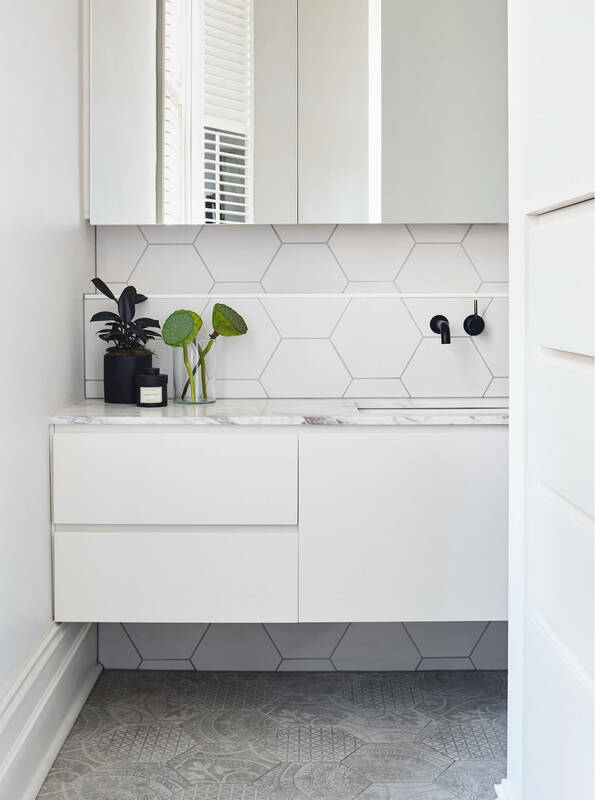 Well-equipped with both conceptual vision and a meticulous attention to detail, Studio Wonder were the perfect fit for transforming this double-fronted terrace. 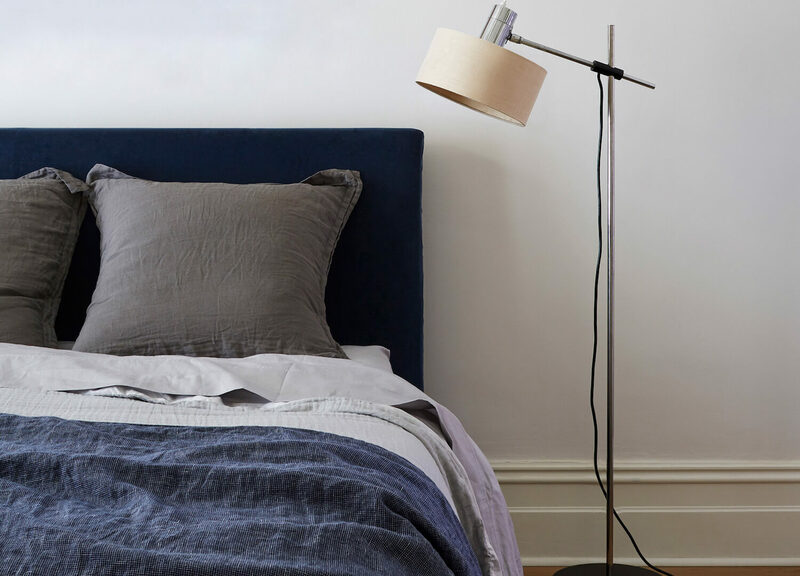 To make the most of what the existing architecture had to offer, Studio Wonder combined two bedrooms to become a master suite while reworking the main bathroom and laundry – each positioned off the hallway. 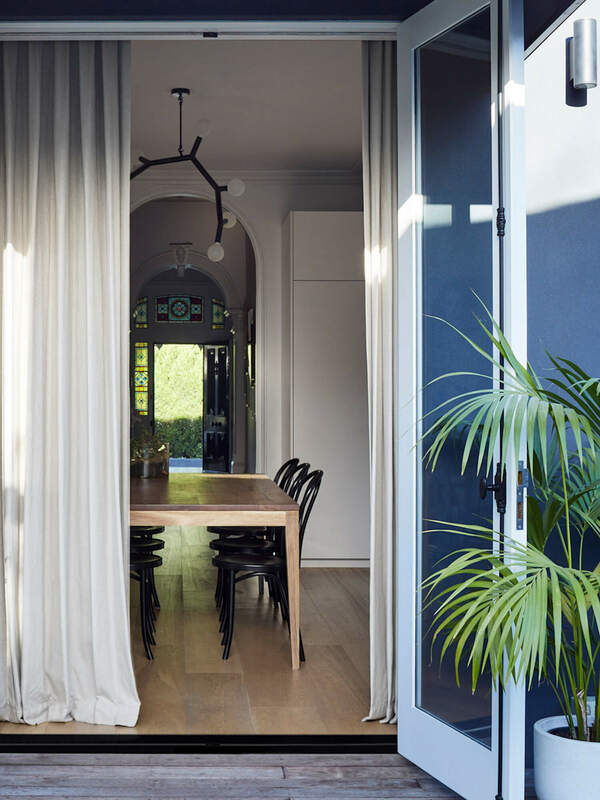 From the entrance, the central hallway shows a streamlined view to the rear of the home, extending beyond the French doors in the kitchen, dining and living area. All of the shared spaces can now enjoy an afternoon sun and easy access to the exterior – the ultimate in casual summer entertaining. Quality speaks from all angles of the family home. 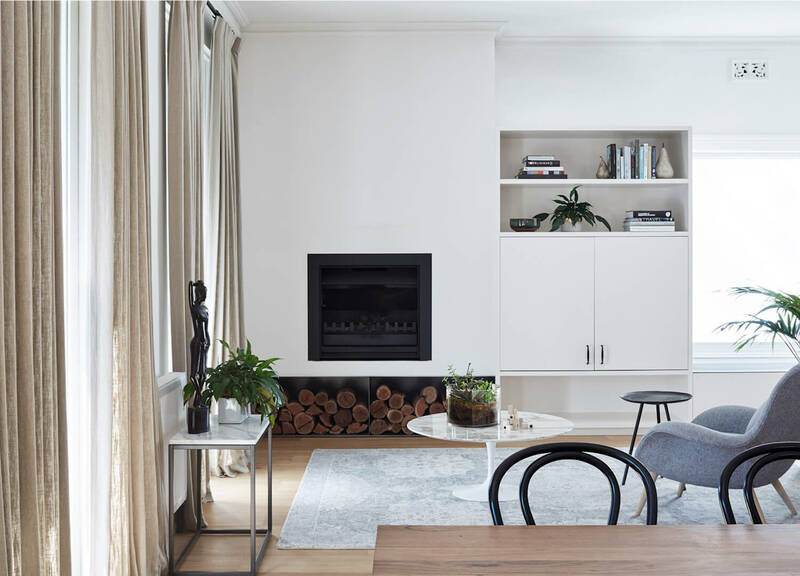 The custom-designed black steel firewood box and fireplace are a testament to expert joinery, while the cosy window seat creates a living room that has us pining over its inbuilt comfortability. 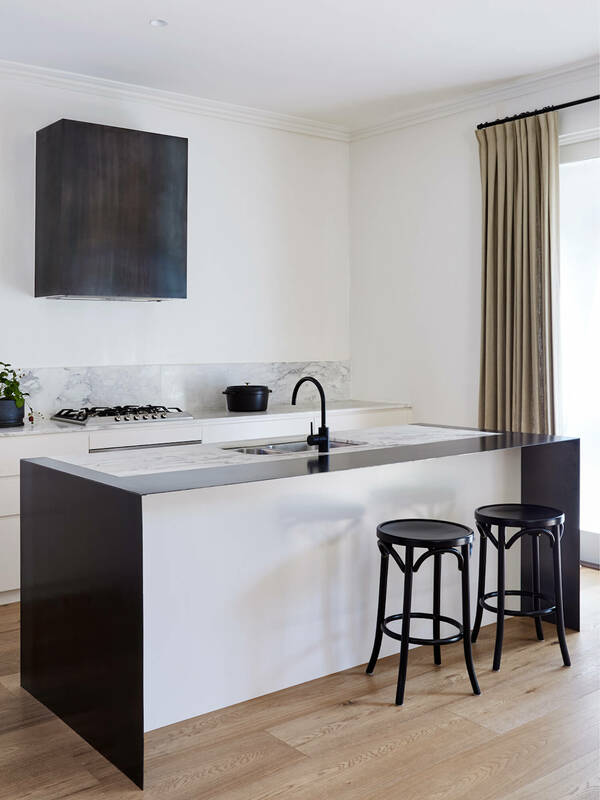 In the kitchen, mild steel cladding wraps the kitchen island bench top, and wall-mounted range hood layered by CDK Stone for a polished monochrome finish. 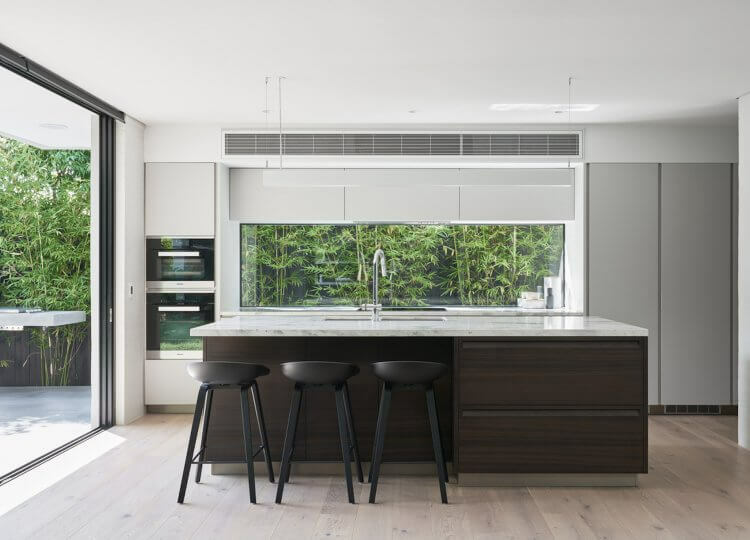 As with every space in this home, the kitchen finds common ground between contemporary additions and the heritage setting. 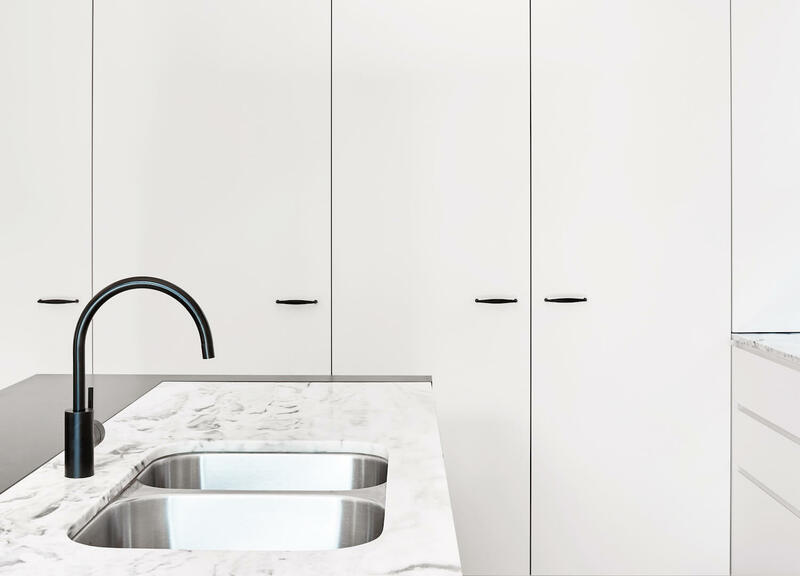 Studio Wonder’s interior design is classic to the core in both style and materiality. 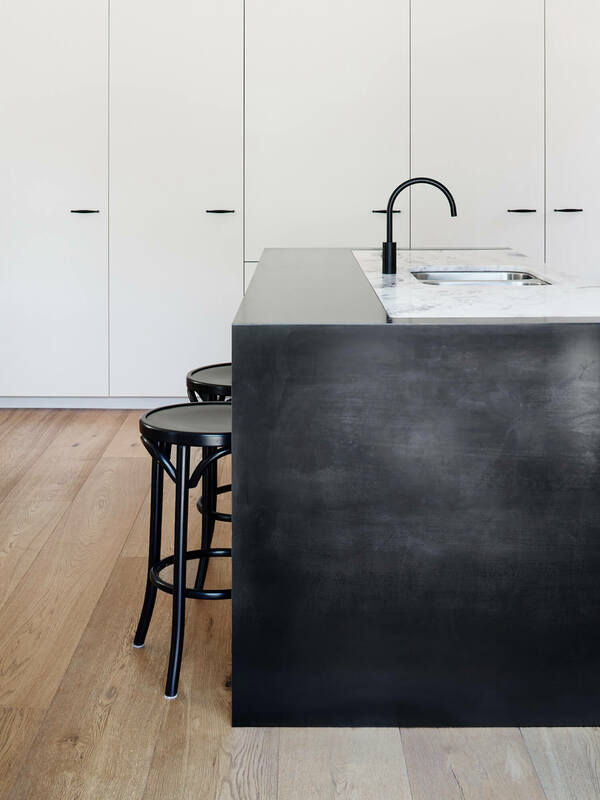 The black steel detail feels at home amongst matte black fixtures and furniture throughout. 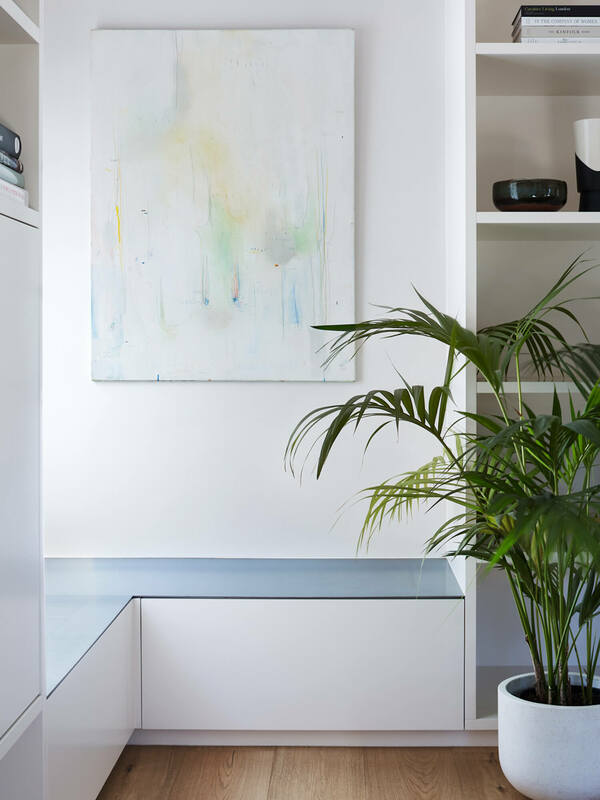 These masculine accents are offset by fresh hints of greenery, white walls and soft timber floorboards — rich in colour and warmth. 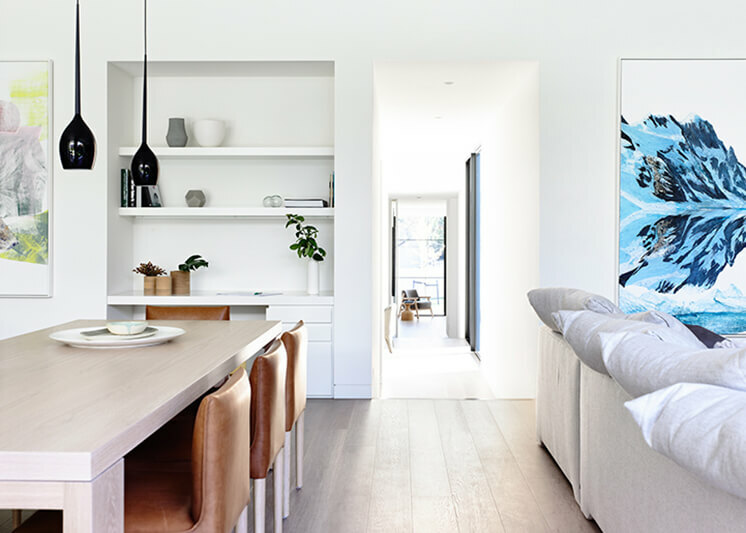 Each object is carefully considered, down the dining room table and playful pendant that has formed the focal point of the home. 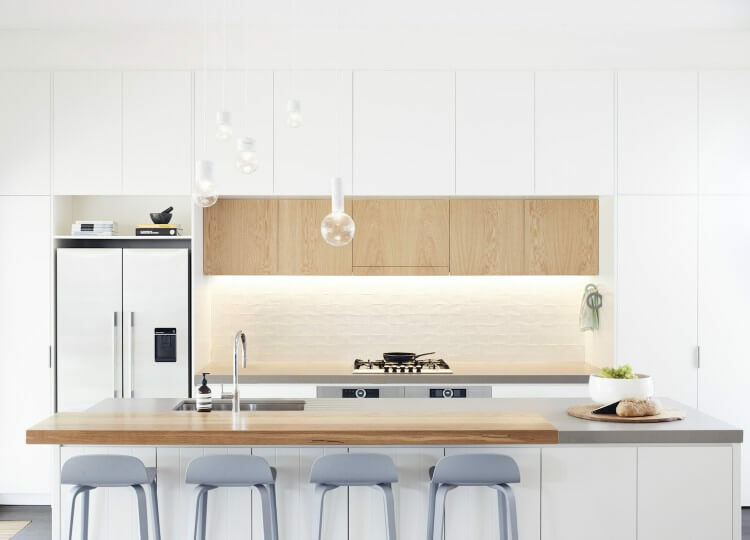 These clean lines and pared-back spaces make clear a feeling of ease for the whole family. 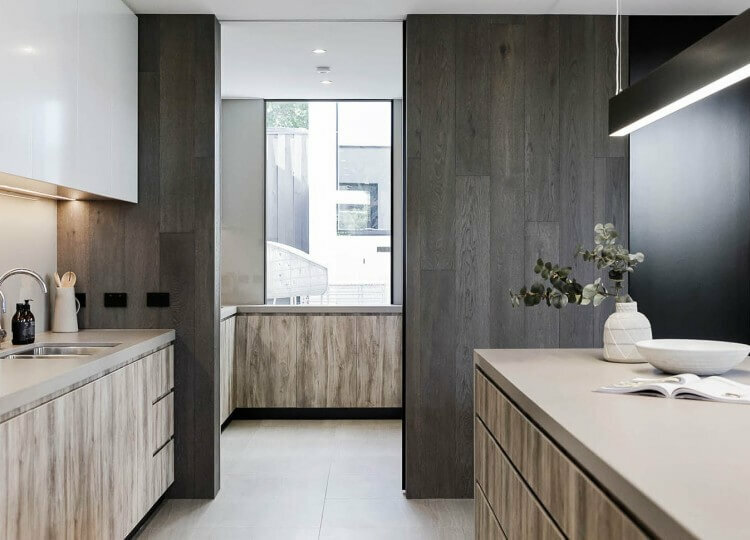 Behind the preserved front facade is a well-linked home that unfolds effortlessly from the front door. 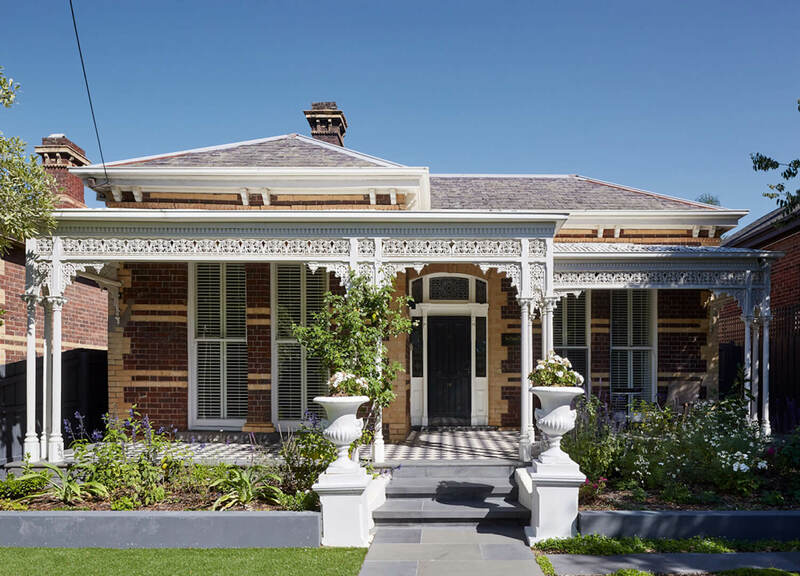 Out of Studio Wonder’s amalgamation of age and elements, this Hawthorn home boasts a newfound stately elegance that will not deteriorate with age. 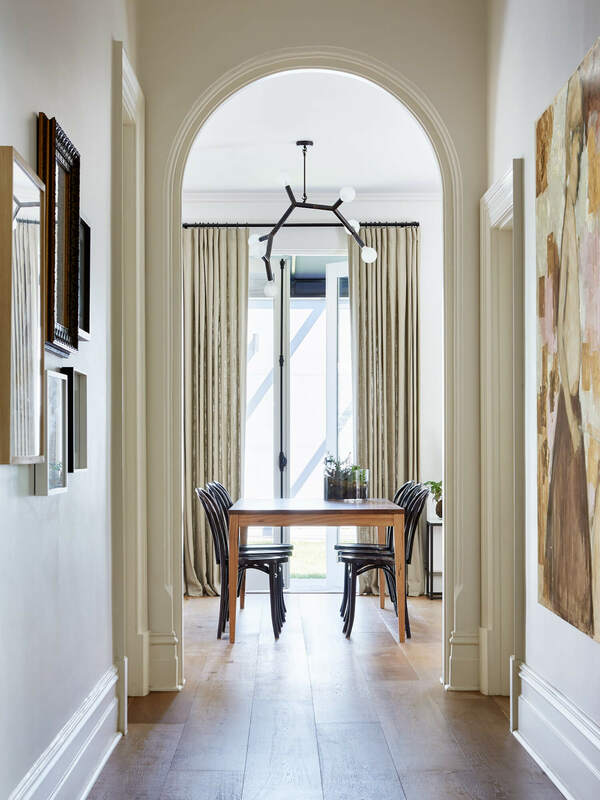 The layout takes shape around the hallway signifying the home’s fluidity and Victorian-era heritage. I liked these pictures. Thanks for sharing this post.